The 2011 BMW R S1000rr for Sale was used for one (1) race in Daytona FL and has never seen the floor, never dropped, wrecked, etc. 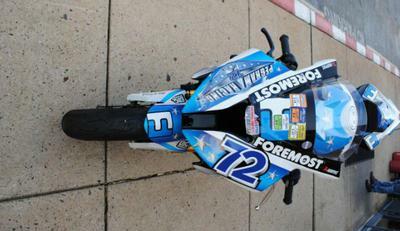 THERE IS NOTHING WRONG WITH THE MOTORCYCLE and it's ready for racing or riding with just 700 miles on it. Please refer to the complete parts list for the 2011 Larry Pegram S1000RR motorcycle below in this classified. Full abs and traction control. Anyone that has experience with any of the modifications or aftermarket parts on this racing bike can use the comments form below this ad to write a review or voice any opinions that you may have on its reliability, performance, problems or where to find used motorcycle parts for use in making repairs or maintenance. 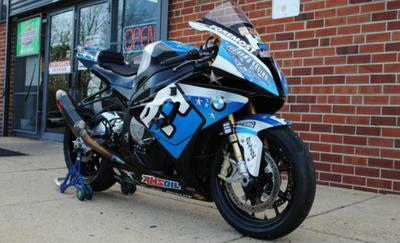 Thanks for visiting GoGoCycles Used Motorcycles for Sale and for your interest in the 2011 BMW R S1000rr for Sale. 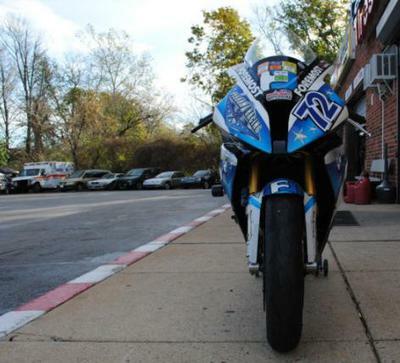 The location of the BMW racing motorcycle for sale is Philadelphia, PA 19151 and in my opinion my asking price for this cool bike is cheap enough that it will be difficult to beat on Craigslist or on Ebay! If you want to take a look or have questions, EMAIL me at qidivykikora at hotmail dot com for more details or to request pictures and don't forget to mention that you found this ad on GoGoCycles Used Motorcycles and Parts for Sale www.gogocycles.com.